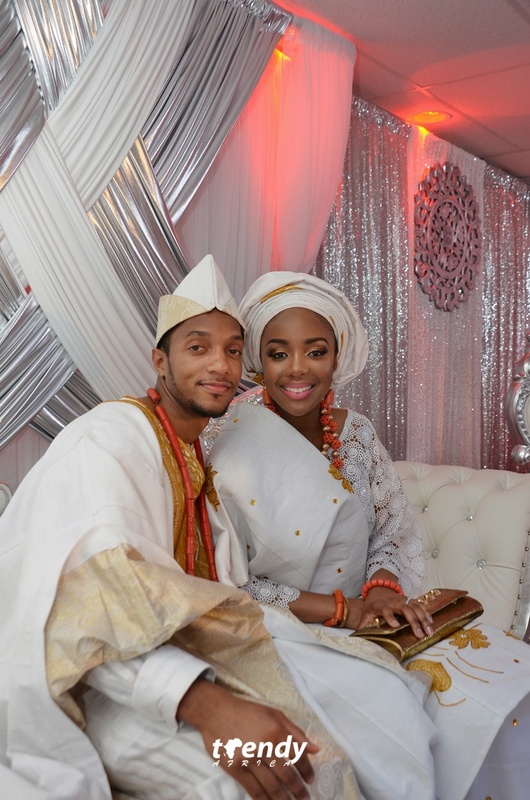 The Banks family of the United States of America and the Lawal family from Nigeria gathered together to witness the traditional wedding of their children; Bryan Banks and Lola Lawal. The immaculate event was set at the penthouse of a Dallas high rise and featured top notch decor, A-list guests and a budding live band. The event also showcased the rich traditional culture and heritage of the Yoruba tribe in Nigeria. Professional MC Mama Gold did a fabulous job with handling the event.